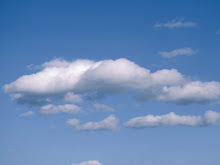 In2Clouds: What if the Cloud never makes it to the enterprise? What if the Cloud never makes it to the enterprise? David Linthicum wrote an interesting piece about the cloud reality setting in. The enterprise is cautious and a bit skeptical about the Cloud; as it should. Frederic Paul at bmighty.com writes about the Forrester report that asks "Why not run with the Cloud". There seems to be a general agreement that when it comes to the Cloud the question is not IF but rather WHEN and HOW. But what if the answer for the enterprise is never. What would happen if the enterprise never adopts the Cloud (at least the cloud as I like to think about it). What are the risks of inaction? How competitive would those enterprises be? I believe history would repeat itself. No matter how large or mighty, those corporations would collapse unable to compete against more efficient and more innovative competitors. Just like Chrysler, GM or the print media industry. I echo David's opinion: 'there are pros and cons, let's understand both' (paraphrasing) and I would like to add that companies need to go one step farther and start focusing on the HOW. The ones that do will deliver more value to customers and shareholders for a longer period of time.